Straight talking? Honestly? That’s politics. When Chair of the NEC Andy Kerr (union puppet rather than puppet master) rose to shout at Labour’s National Policy Forum that they had no right to elect a new Chair of the NPF at their meeting in Leeds it was another shameful act in the lengthening list of abuse of power by those who now wield it. This should have been a simple thing to resolve. The National Policy Forum had a vacancy for Chair since Ann Cryer had announced her intention to stand down. The NPF Officers had agreed the timetable for the election which was due to take place today, Saturday. 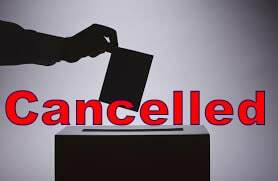 However, NEC Officers were gathered to an unscheduled meeting two hours before the vote was due to take place and the vote was stopped on the spurious reason that seven days notice of the ballot was required. This is an entirely made up version of the rules. Having spent some considerable time in the High Court defending Labour’s rule book against all comers, I have a reasonably clear idea how to interpret the written word of Labour’s sometimes impenetrable and arcane rules (my offer to re-write in plain English remains on the table). Seven days notice of this election has never been required, and was not required today (although four days notice was given of this emergency item of business). The NEC Officers’ reasoning was that “the Representatives [attending the NPF] are entitled to receive copies of relevant documents at least seven days before the Forum takes place.” However, there is nothing in the rules of the NPF which requires that a casual vacancy must be advertised seven days in advance of the meeting. Nor do any of the general rules or procedure of the Labour Party require that seven days notice is given to fill such a vacancy. The election could and should have taken place today. Late registrations were allowed to ensure the highest possible attendance, and members of the NPF tell me it was indeed one of the highest turnouts in recent times. Candidates were in the field, the election was scheduled and sufficient notice had been given. But there was a major problem – Ann Black was likely to win. And Momentum and the Leader’s Office couldn’t allow that to happen. So it was stopped. In a traditionally robust way. Despite the obvious desire of the majority of those in attendance to hold the election as advertised, the NPF and its officers were bullied out of it. No election was held. Not because the rules were broken. Or because the procedures hadn’t been correctly followed. But because the faction in charge of the Labour Party was probably going to lose. I have no problem with Jeremy Corbyn and Momentum running the Labour Party. They won the votes to give them the right so to do. But when they start making up the rules to allow them to keep control, serious questions need to be asked. Labour MP Luciana Berger said she was “ashamed” to witness the “disgraceful treatment” of acting NPF chairwoman Katrina Murray at the event. If Corbyn wants to hold to his slogan of ‘straight talking, honest politics’ then he needs to do some straight talking to some of his own team. Otherwise his quest for Number 10 will be derailed by internal factionalism. If not of his own making, of his own consent. This is a perspective from someone who wanted Ann Black elected. From the Skwawkbox 20/02/2018. The row over the cancelled election of a new Chair at last Saturday’s National Policy Forum (NPF) meeting has rolled on, with ‘centrists’ claiming the election was cancelled because Labour’s National Executive Committee (NEC) knew it was going to lose to the right – how they knew if it wasn’t rigged is somehow never answered. Inflaming the situation, the so-called moderates have accused the male NEC Chair of ‘barging’ or ‘shoving’ the acting NPF Chair out of the way to get to the microphone and enforce his will on the meeting – even though the video and image evidence presented to support the claim shows nothing of the sort. Those who have dared to challenge the centrist version of events have been accused of distorting the truth for factional purposes – in spite of clear evidence that the election was a right-wing set-up, in the form of a text admission by the Chair who resigned to trigger the election that she was specifically asked to bring forward her resignation from September so an election called for Saturday’s meeting at short notice. But the SKWAWKBOX has obtained a copy of a report on the meeting – by an attendee who is not only an Ann Black supporter, but who had agreed to nominate her for the vacant Chair’s position. George McManus is an NPF CLP Representative for Yorkshire and the Humber. He has been on the NPF for over twenty years and is not someone to mince his words. He had been ‘wooed’ by the right – to his bemusement – and was set to nominate the centrists’ preferred candidate Ann Black for in the election of NPF Chair on Saturday. So he can safely be said not to ‘have a dog in the fight’ in terms of not wanting Ms Black to be Chair. Labour representatives to the Party’s National Policy Forum (NPF), which considers proposals for the next manifesto, came from all corners of the UK to Leeds on February 17th. The agenda would focus on the NHS and Brexit but most were blissfully unaware that a weird scenario, of Kafkaesque proportions, was unfolding. The early highlight should be Jeremy Corbyn’s speech. But some had other ideas. Four days earlier, on Tuesday 13 February members were shocked when an email from Labour chief Simon Jackson reported that the popular NPF Chair, Ann Cryer, had announced her immediate resignation. The message went on to say officers had met the day before and decided an election for the post should take place on the Saturday morning of the NPF, immediately before Jeremy’s speech. This is where Kafka comes in. It transpired that Ann Black, a stalwart of Labour’s Left for 20 years, was being supported by members of the NPF belonging to the Right wing Labour First faction. Following recent changes at Labour’s NEC Ann Black’s popularity with the Left had started to wane. Ann Cryer had suddenly resigned. But, the plot thickened. On the Saturday morning at 11am, 300 NPF members and Party staff packed into the ornate, art deco ballroom of the Queens Hotel, Leeds…But a row erupted and Jeremy’s speech was delayed. NEC Chair Andy Kerr announced that Ann Cryer’s immediate resignation had been confirmed but due to representatives being given inadequate notice, there would be no immediate election for her replacement. You would have thought World War 3 had broken out! A solid cohort of members gathered in the centre of the hall, went ballistic. To shouts of ‘Point of Order’ and ‘We demand an election’ the normally forceful NEC Chair was drowned out. At this point the podium was given over to the hapless NPF Vice Chair Katrina Murray who attempted to explain the rationale of the decision but the self-appointed Praetorian Guard of the NPF were having none of it. They demanded to be heard. Cue more shouts of Point of Order. Unfortunately the embattled Katrina made her first mistake and decided to take points of order. What needs to be understood is that the NPF has no standing orders under which points of order can be raised. It does have procedural guidelines which have been agreed by the NEC. When I tried to point this out to Katrina, I was shouted down by the mob which smelled a rat. People were shouting. Others were climbing over seats to get near the front. Dissident MPs were on their feet. Their blood boiling, the mob got nasty with shouts of ‘Bully’ and ‘Dinosaur’ directed at the NEC veteran. Andy backed off. ‘OK said Katrina, those in favour of the challenge please indicate’ followed by ‘those against the challenge please indicate.’ Andy Kerr and the other officers at the far end of the stage sat, heads shaking in disbelief. ‘Right’ says Katrina, ‘We’ll have a short break whilst we count the votes.’ As this was unfolding I understand the Leader of Her Majesty’s Opposition was waiting in the wings for his cue. It was a long time coming. Twenty minutes later the embattled Katrina took to the podium and announced that there would be no election today. The mob rose again. ‘What was the result of our vote’ they demanded. ‘Nobody’s told me’ said Katrina. You could not make it up. There were more ugly scenes as it was whispered around the hall that the proceedings were being viewed and shared on Social media. The mob would not be placated. ‘No it bloody well doesn’t’ came a loud reply. There was a further comfort break during which several people left the hall following which Jeremy Corbyn was introduced. It was at this point that the mist started to clear. The dissident rebels remained glued to their seats, refusing even to offer a polite welcome. This hadn’t been a challenge to the NEC but to Jeremy Corbyn. A barn storming speech brought a standing ovation, but the rebels were stoney faced. They remained seated. No applause. With no time for the expected question and answer session, Jeremy left the hall as the assembly finally dispersed. It was becoming clear what had led up to this. For many years the NPF was a rubber stamp for the Leadership’s policy ideas. Debate was deliberately stifled. Labour First, and their associate group Progress, ran the NPF, in thrall to the leadership. Many of those members are still on the NPF. Now dis-enfranchised, as they see it, the same members had seen an opportunity to re-establish some control over policy formulation and the NEC. Recent events had suggested that Ann Black might be persuaded to accept support in her ambition to be NPF Chair. Ann, the former sinner, was now their Joan of Arc. Getting her elected would give Corbyn a bloody nose. But they forgot something. The Labour Party Rule Book says that for elections to take place, voting members must be given at least 7 days notice and with the NEC as arbiters of the Rule Book, the decision was theirs. Not the NPF’s. So a carefully crafted coup had failed but not before news agencies had broadcast the events to the world and Corbyn’s speech delayed. The damage done can only be imagined. The weekend went onto deliver fantastic seminars on Brexit and on the future of the NHS. Over 20 breakout groups discussed every aspect of the next manifesto. Guest speakers included the incredible Frances O’Grady from the TUC and Keir Starmer but all was overshadowed by the Battle of Leeds. It’s only when you start to understand the background that it’s possible to unravel events. It was ugly. It was irrational. It was surreal. I doubt that even Kafka could have made it up. I don’t know if the NPF can survive this latest row. It was originally set up to stifle debate not to encourage membership engagement. I was elected in 1997 and have always believed that a rolling programme with deliberative policy formulation was preferable to open arguments on the floor of annual conference. I’ve been arguing for this for 20 years. So if the NPF is to have a future then it must change. But to do so, it needs to discover its raison d’etre. It’s sense of purpose. We now have over 500,000 members who thought that last year’s manifesto was brilliant. They don’t care who is Chair of the NPF. The members’ priority is to see our man go through the door at Number 10. But they do care when they see Tories having a laugh at the unedifying spectacles like that being broadcast on Saturday. Unfortunately when you’ve run the show for so long then it can be difficult to adjust. I hope that Labour First supporters will understand the need to be flexible, adapt and tolerate the changes. The Labour Party is, and must remain, a broad church. That’s its strength. But it’s not York Minster. If they can’t adapt then they will become irrelevant but they won’t just be letting themselves down. They’ll be letting the Party down and worse, they’ll be letting the people down. members as it should, then it must be reformed, strengthened and re-configured. Otherwise it must be replaced. There will be an election for Chair, I’m sure. I just don’t know how long the successful candidate will be in post. This account – by someone who wanted to see Ann Black elected as Chair – portrays ‘ugly’, ‘mob’ behaviour from a ‘self-appointed Praetorian Guard’ who saw an opportunity to give Jeremy Corbyn a bloody nose. A ‘guard’ that contrived to manipulate events to get its way – and instantly turned into a mob when their “carefully crafted coup” was thwarted. So much for ‘abuse from the left’ – as usual, those on the right are as quick to cry abuse as they are to perpetrate it. The Labour right’s ‘outrage’ at the cancellation of yesterday’s election of a new National Policy Forum (NPF) chair rests on the claim that the decision to hold an election in the first place was a natural consequence of current Chair Ann Cryer’s decision to resign. How dare this working class pleb contradict me, DON’T THEY KNOW WHO I AM!?!?! It’s implied from Chapter 15 Clause I 2Bii. 7 days notice needs to be given of Ordinary Meetings and the business to be transacted therein. ‘As far as possible’ are key words here. Lets not forget the NEC went to court to defend it had the power to alter the rules from time to time as occasion may arise, in order to deprive grass-root members of a vote. It also won on the right for Corbyn to be included on the ballot. The NEC have the authority to alter the rules ‘As occasion may arise’ and they see fit. The courts at the time in question, ruled in favour of the ‘Blairite’ controlled NEC. I am fed up with stitch ups on the NPF, I have never been a fan of this body which came out of the ill conceived new labour project to disengage party members from being involved in the policy making process. We are currently undertaking a democracy review within our party and it seems perverse in the extreme that the NPF should elect a new chair when the wider party membership and many of our representatives have no idea that the election is taking place. This is not a left right argument merely a what is right and what is wrong debate. Too long the NPF has failed to follow the concept of transparency + accountability = democracy. Well done to all of the Labour Party reps who stood up for member democracy today at the NPF. “It is understood the decision to delay the election was taken by the NEC officers group. The only Momentum-backed member of the NEC officers group was not present at the meeting that decided to cancel the NPF election and the majority of members on the group are trade unionists. A Momentum source said: “Only one out of eight members on the NEC officers group is Momentum backed, yet this still ends up being a ‘Momentum plot’. That is from the Daily Telegraph 17/02/2018, hardly a fervent pro-Momentum source. What rules have been made up?? I have read somewhere that the NEC Officers Group did not actually meet today but held a conference call instead in which a majority agreed with decision to cancel election. If correct, is it within the Labour Party rulebook that decisions can be made by conference call rather than actually meeting? Conference calls (or meetings in person with conference call facilities for those unable to attend) have never been disputed as a way for NEC officers to conduct business. As someone who has extensive knowledge of the Labour Party Rule book may I say the article if factually correct. For the NPF to Elected any member as Chair you do NOT need 7 days notice. Those supporting the leadership should really learn the rules and obide by them. Stop the straw man tactic Dave. Does the NEC have the prerogative to determine the process around internal elections? Yes, as comrade Iain McNicol spent a lot of members’ money to prove in the courts. Chapter 4, Clause III D. iv. : “Elections to all Divisions of the NPF shall be conducted to guidelines set down by the NEC…” Guess we should ignore that rule, it so inconvenient to your article! That’s for election to the NPF, not the election of officers. Surely it’s more basic than that? The Chair is always elected at an AGM. And if the chair resigns between AGMs? Then an EGM is called for which, I would have thought, seven days notice would be required. But this was the AGM wasn’t it? Patently obvious that some people think they have the right to do what they like.becaus t he y have the Leader they want. The behaviour of the ‘Invading Chair|” at the NPF was precisely the sort of image that the public will not tolerate. Why people behave in this way is known only to them. Perhaps they live in their own little hidden world. The more LP mbrs see this the better. And I bet other things transpire. Why do you hate working class people in positions of authority?